This is a French Modern period poster created by the French artist, Philippe Sommer, for Versinthe. This is an exquisitely crafted image that captures the timelessness and playfulness of Versinthe, a drink made from two varieties of artimisia delicately softened by infusions made from twenty different plants and roots. 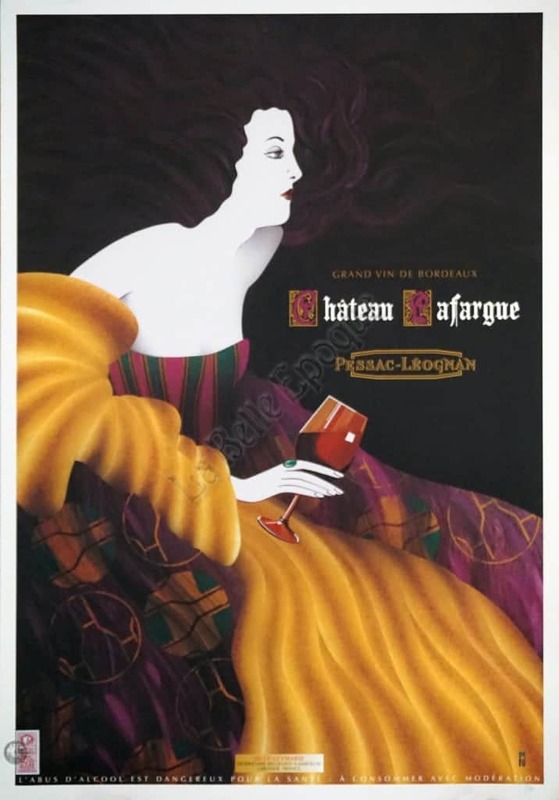 The black, white, teal, purple, and gold color scheme of this poster creates a deeply seductive and decadent image, embodying the historic image of absinthe. The label and the spoon seen in the poster are a reference Picasso's famous absinthe spoon.